Lake Homes Realty has an immediate opening for a full-time Real Estate Support Specialist to coordinate communication between interested home buyers, home sellers, and real estate agents across the country. Very detailed oriented, focused, and fairly analytical. Able to communicate by phone and email in a personable, clear manner, and adapt to the communication style of others (both in the office and externally). Comfortable with predictability and repetition where tasks are done in an orderly and systematic way. Patient, both with people and the systematic processes. Assorted support tasks related to the internal brokerage management of messages and requests from real estate buyers and sellers from across the country. Following a defined process, record and track all communications. Online research for details about real estate agents and brokers across the country. Provide, at times, support for real estate agents. Support various other company services. This is considered an entry-level position. However, some prior experience with business computer usage and business office processes is expected. Applicants with related job experience in customer service, real estate, mortgage, or real estate title insurance are given priority. This position is at the Lake Homes Realty corporate offices at 15 Southlake Lane, Hoover, Alabama (just off I-65 at the Valleydale Road exit in Metro-Birmingham). All applications are considered confidential. Lake Homes Realty is one of most innovative and fastest growing real estate companies in the country. But we are not the typical real estate brokerage. We have our own agents across the country BUT we don’t operate typical brick-and-mortar offices. If we may be so bold, if you took Amazon and Shipt, the big-box real estate companies, plus Zillow and Realtor.com and threw them all in a blender, what pops out would be something similar to our business model. The company is the largest lake-focused real estate brokerage in the U.S. and is expanding to new markets across the country almost daily. We are building THE national brand for lake real estate. Utilizing a unique combination of online, social, and local experts, our staff participate in very leading-edge processes and tasks. 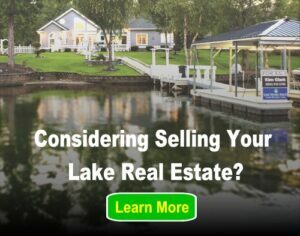 The company’s website, LakeHomes.com, is used by millions of home buyers and sellers each year. Inc Magazine ranked Lake Homes Realty on both the 2017 and 2018 Inc. 5000 lists of the fastest growing companies in the U.S. The Birmingham Business Journal has named Lake Homes Realty as one of the 30 fastest growing company in Birmingham for the last four years!